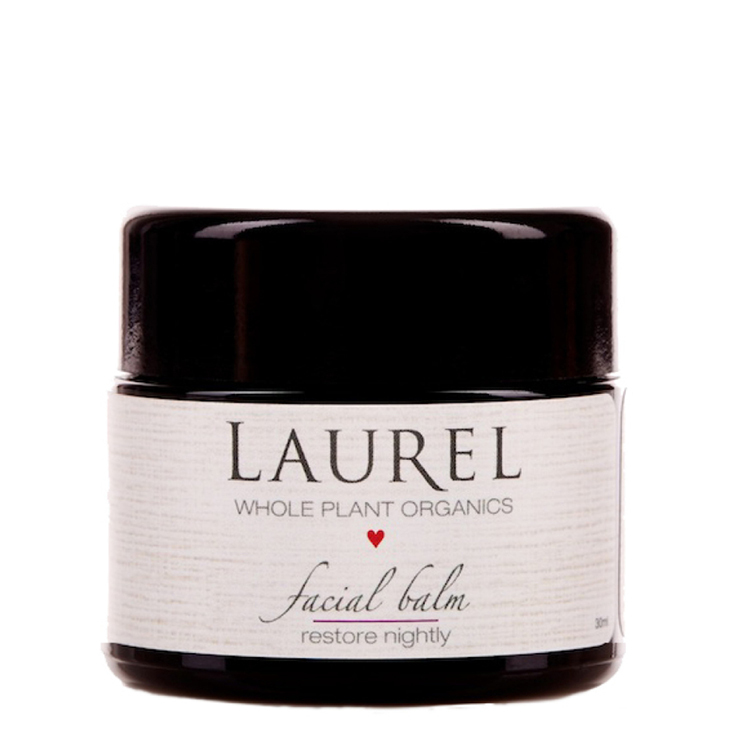 The Restore Nightly Facial Balm by Laurel Whole Plant Organics is a plant-based, waterless balm that’s ideal as a nighttime moisturizer. This organic facial balm includes a blend of 27 beneficial ingredients to promote a look of even skin tone and reduce the appearance of fine lines. Calendula, pomegranate, sea buckthorn and comfrey make skin look calm, plumped, and supple. While the exotic, floral blend of rose, sandalwood and myrrh essential oils have a restorative effect on the skin's appearance.